Only eight days left to book your space at next’s week Games Industry Christmas Quiz. 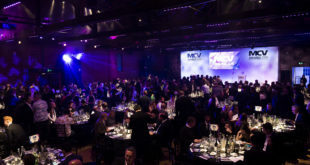 This year the quiz is being organised by the MCV and Develop teams, so retailers and publishers will be contending with games developers, too. The quiz takes place on December 2nd at Minster Exchange, starting at 7pm. It costs 249 plus VAT for a team of five, which enters your into the quiz and gives you access to a free bar and supper. To book your place, email Alex viaABoucher@nbmedia.comor call 01992 535646. There will even be a special Christmas jumper competition. Wear your most amusing, adventurous or just plain excellent Christmas outfit for a chance to win a big prize.